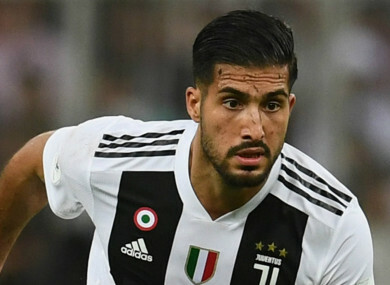 EMRE CAN HAS expressed his disappointment in Germany manager Joachim Low for snubbing him once again, after the Juventus midfielder was left out of the squad for the upcoming international fixtures against Serbia and Netherlands. Since joining Juventus on a free transfer last summer, Can has been one of the top performers for the Old Lady, but Low has opted to leave him at home, having only selecting him for one squad in the past 12 months. The former Liverpool man believes his talents are appreciated more throughout the continent than in his homeland, after he was overlooked once more. “I realise that, in foreign countries, my performances are certainly judged differently than in Germany,” he told Sport Bild. Email “'My performances are judged differently abroad' - Former Liverpool midfielder Can on Germany snub”. Feedback on “'My performances are judged differently abroad' - Former Liverpool midfielder Can on Germany snub”.